The park is located off Sunset Boulevard in Pacific Palisades at 1501 Will Rogers State Park Road. By the mid-1930s, Will Rogers was one of the most popular and highest paid actors in Hollywood and "America's most beloved citizen." From his start in vaudeville theater with a trick roping act, he rose to world-wide fame as a columnist, "cowboy philosopher", aviation enthusiast, philanthropist, radio personality, and movie star. During the 1920s, he bought land in Santa Monica, where he developed a ranch. Eventually, Will Rogers owned about 359 acres overlooking the Pacific Ocean, in what is now known as the Pacific Palisades. 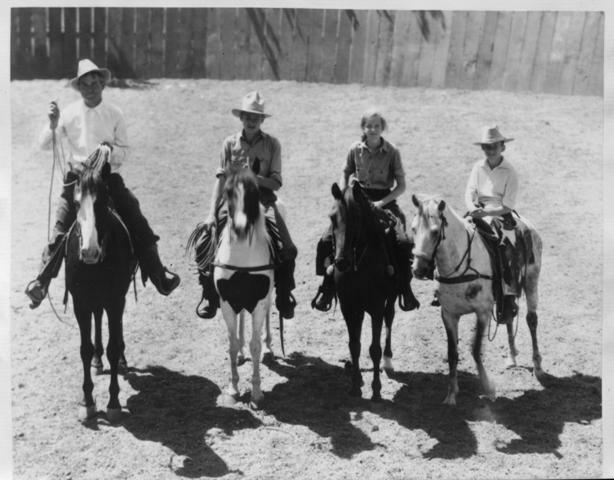 The ranch became the place where Will Rogers could relax with his family and friends, pursuing his favorite pastimes of riding and roping. 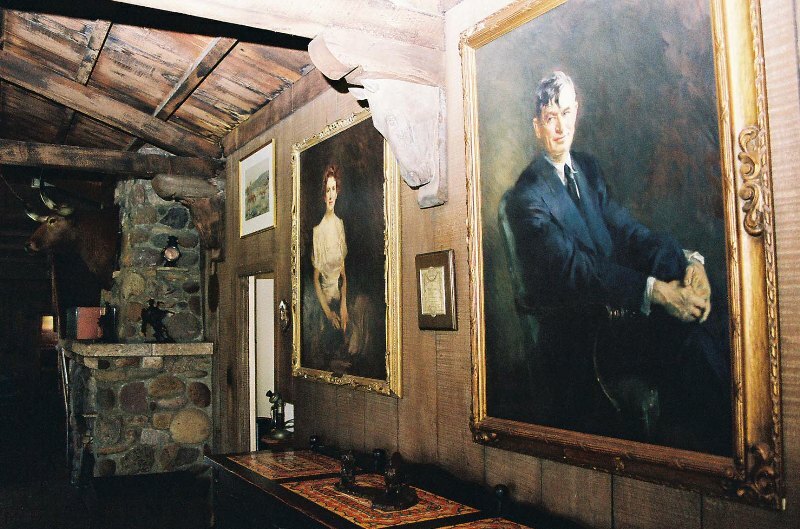 At his untimely death in a plane crash in 1935, Will Rogers's ranch consisted of a 31-room ranch house with neighboring guest housing, a stable, corrals, riding ring, roping arena, polo field, golf course, and riding trails. 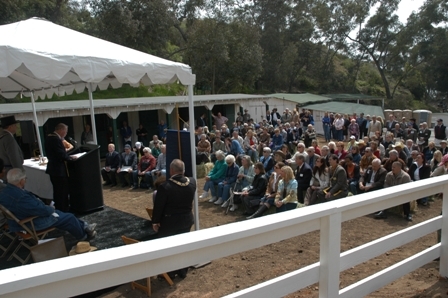 His widow, Betty, gave the ranch to California State Parks in 1944 and it became a state historic park. On Thursdays and Fridays, we offer public tours of Will’s ranch house every hour on the hour from 11a.m. to 3p.m. and on Saturdays and Sundays every hour on the hour from 10a.m. to 4p.m. Will’s ranch house is accessible only through guided tours, there is no charge for the ranch house tours, and no preregistration is needed to take one of these tours. They are offered on a first come, first served basis for all and we can accommodate up to 20 people per tour. Hikers can enjoy a moderate 2-mile loop to and from Inspiration Point. The Rivas Canyon Trail also provides a moderate 2.1 mile hike to Temescal Gateway Park. Adventurous hikers, mountain bikers, and equestrians can tackle the Backbone Trail National Trail into the Santa Monica Mountains, which can take you all the way to Point Mugu. Free trail maps are at the stand near the visitor’s center and in the park office. Westside Riding School is open for riding lessons here at the park on all days, except Mondays. Horseback riding for both children and adults is taught. To schedule lessons, please please see our Horseback Riding Lessons Information Page . Will Rogers Trail Rides provide guided trail rides on safe, reliable horses on the beautiful trails of Will Rogers State Historic Park. You will experience the park in the way Will Rogers used to love to experience it, on horseback. Will Rogers guided trail rides are available every day except Mondays. Tuesday through Fridays you can book a private guided ride by visiting http://www.willrogerstrailrides.com more information. Equestrian visitors are welcome to bring their horses to the park for day-use to enjoy the riding and roping arena, Sarah's Point, and the trail to Inspiration Point. The picnic area above the polo field provides picnic tables and barbecue grills and is available on a first come, first served basis. Some modest picnicking (no chairs, tables, catering, jumpers, etc.) is also permitted on the front lawn of the ranch house. If you would like to set aside a section of the picnic area or upper ranch house lawn to ensure its availability for your group’s use, or if your group numbers 25 to 59 people, you may use the picnic reservation request form, or call (310) 454-8212, ext. 101. Polo games are held every weekend, except Memorial Day, the 4th of July, and Labor Day, from May to mid-October. The Polo field at Will Rogers SHP is just one of the park’s many wonderful features. The grass covered expanse is 20 yards shorter and a few yards narrower than a regulation polo field and is carefully maintained by park staff. It is the last grass, public, outdoor polo field in Los Angeles County. The Will Rogers Polo Club carries on Will’s enjoyment of polo by using the field for their matches during their annual Polo Season. Matches are free to the public to watch (you still need to pay the vehicle parking fee) and played on Saturdays from 2 p.m. to 5 p.m. and Sundays form 10 a.m. to 1 p.m. For more information, visit their website at http://willrogerspolo.org . The visitor center, as well as the various displays around the historic core of the park, helps interpret Will’s story to many explorers and you are welcome to discover them all. The visitor center is a good place to start in orienting oneself on the significance of the park with various displays that convey Will’s story and the development of his California ranch. A brief, 10-minute video will help orient visitors to the story of Will Rogers. Six times a year, Hollywood comes back to the home of one of its earliest stars and celebrated movies are shown the park. Bring your family and friends, a favorite lawn chair or blanket, maybe dress as your favorite movie character, grab some international cuisine from the various food trucks, enjoy the band prior to the start of the movie, take a brief tour of the home of Will Rogers, and enjoy the movie on a movie screen the size of a giant oak tree in the evening peacefulness of Will’s front lawn. For more info visit: www.streetfoodcinema.com . If you would like to set aside a group of picnic tables or a portion of the park for your picnic, you may file a picnic reservation form. Picnic groups larger than 25 persons require a picnic reservation as well. If you would like or need to make a picnic reservation, please contact the Picnic Reservations at 310-454-8212, ext. 101 . A special event permit is required whenever an onsite caterer, vendor, paid staff member of any variety is used, or when the group size is 60 persons or greater. The special event application is available upon request. Special events must be scheduled six weeks in advance and require superintendent approval. If you would like to hold an event at the park, please contact the Special Events & Picnic Reservations Coordinator at 310-454-8212, ext. 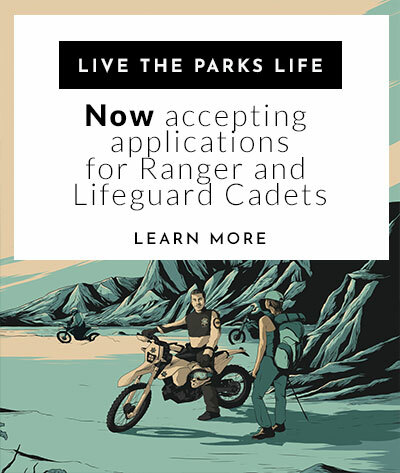 108 or e-mail WRSHP.Events@parks.ca.gov . All varieties of commercial filming, student filming, or photography beyond point and shoot require a permit. Film permits are issued through the State Park Film Office at 818-880-0358. Dogs are permitted at Will Rogers State Historic Park. Dogs must be on a leash of no more than six feet in length and under the direct control of their owner at all times while in the park. Owners will be asked to remove thier dog from the park if they are unable to control it. Dogs are not allowed in the adjoining Topanga State Park (on the Backbone Trail), but are allowed on the Rivas Canyon Trail leading to and from Temescal Gateway Park.